Is Body Beast Workout for Women? 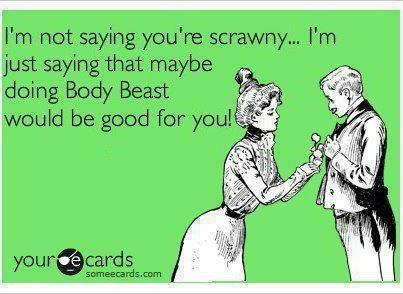 If you are female, you may be wondering, is Body Beast workout for women too? When this new muscle building program was released, I was not too interested because the marketing materials were aimed at men. Geez, even the test group was male oriented as were the posted results videos and pictures. 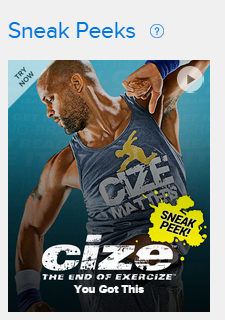 From the standpoint of deciding if a workout was for me, a woman, Beachbody made it too biased and turned me off. Even the FAQs did not answer the question: “Is Body Beast workout for women?” Then I met Sagi Kalev, the creator of the workout, at a recent event and this guy is HUGE! I became interested again in the Body Beast program and researched it myself, without looking at the male biased marketing hype. Is Body Beast Workout for Women Who Want Bigger Muscles? Duh! Of course it is! What I learned is that both genders can do this fitness program. Based on Dynamic Set Training, it combines the old- and new-school methods of bodybuilding. Believe me, you will get pumped and stay pumped for the duration of the workout! Let’s get back to my point about the ladies. Women have been in the bodybuilding game for years. This is the perfect workout for women who want to exercise at home. Maybe you have kids and can’t get to the gym. Maybe you work lots of hours and just don’t have time. But, you still want those beautiful muscles. With this 90-day fitness program, women can get a better workout than in the gym, with less equipment and less time. Sounds like a plan! Is Body Beast for Women Who Want to Lose Weight? Ladies, if you are looking to lose weight, then this workout may not be ideal for you. Body Beast is aimed at increasing muscle mass, which means you may add a pound or two. If you are looking to lose weight, Beachbody has many other fitness programs that focus on just that (TurboFire, Slim in 6, Insanity, Les Mills Pump) and may be a better option for you. There are two program options: Lean and Huge. The Lean schedule adds cardio workouts whereas the Huge option does not. This option is designed more for getting big while losing fat. If you are still unsure is Body Beast workout for women, you can always give it a try and return it if it’s not for you. I can tell you it’s a great challenge, I started it last week and I am a WOMAN! I hope this article helped answer the question, Is Body Beast workout for Women? CLICK HERE to order. Really appreciate your candor and honesty about the Beast for women. did you finish? do you have a results post? You are welcome! I love Combat – such a great workout and calorie burner.